Xperi Corporation and LG Electronics recently announced the development and integration of DTS Connected Radio technology into automobiles. Xperi will deliver to LG the DTS Connected Radioplatform, which enables in-car radio experience, combining over-the-air radio with IP delivered content. Utilizing an IP connection installed in a vehicle, DTS Connected Radio delivers analog and digital (DAB and HD Radio) FM experience by pairing broadcast programming with IP-delivered content. 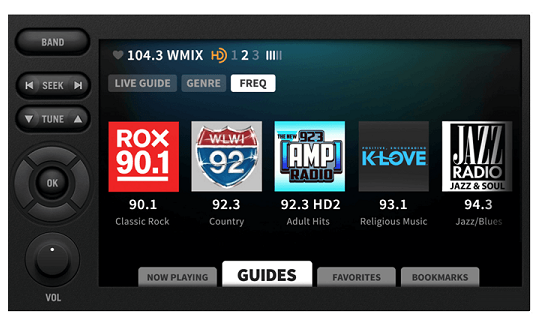 DTS Connected Radio aggregates metadata, such as on-air radio program and talent information, artist and song information, station contact information and more, directly from broadcasters around the world to deliver an enhanced in-vehicle radio experience. The first implementation will arrive at dealerships in 2020 with a major global car brand, to be announced at a later date.